How do I access my insurance certificate? How are member fees calculated? I am not able to pay the full amount at this time. Is there a payment plan available? What is a “Non-Practising” Member? What is a “Retired” Member? I will be on leave. How should I renew my membership? How do I join a CPA special interest/clinical practice division? Do I need to be a CPA member to purchase Professional Liability (malpractice) insurance with CPA? Which insurance option should I purchase? I'm a student who is graduating and I need insurance to practice. How do I purchase it? Do I receive a discount on my insurance if I work in the public sector? I recently moved and need an updated copy of my insurance certificate. What do I do? I would like to request a refund on my insurance. Who can I contact for more information about insurance? I am planning to retire. Can I stop carrying Professional Liability Insurance? I am on leave of absence from the profession. Do I need to carry professional liability insurance? I am planning to take maternity leave. Do I need to carry professional liability insurance? I will need insurance later in the year. Is it pro-rated and how do I purchase it? What if I work at two different locations? I am a PTA. How do I purchase insurance? I am a business owner with other professionals working for or on behalf of my business and/or billing under my business name. Do I need professional liability coverage to protect my business name? I already have insurance through my employer - why should I get my own? Does CPA's insurance cover acupuncture? I am also a registered yoga teacher - will my insurance cover teaching yoga classes? 1. Reset your password here. 2. Enter your email address, then click submit. 3. You will be sent an email with a link to reset your password. Log in to your Account Centre. Under the Insurance section, next to the insurance option listed, click on “Download Now”. You can renew your membership online through the Account Centre. Membership fees vary depending on your location and membership category. This includes CPA national membership and provincial branch membership (if applicable). Student membership is free and New Graduates receive a 50% discount. Insurance and divisions are additional fees and can be added when you renew your membership. The membership/insurance term starts October 1 and expires September 30. Membership and insurance fees are pro-rated daily but division fees are not pro-rated. CPA provides an option for monthly pre-authorized payments (PAP) to spread the cost of membership fees over the year. There is a small administration fee of $25 plus tax for this service, and please note that insurance fees will still need to be paid up front. Simply select the “monthly payments” option at the end of your renewal application to select this option. What is considered a “Non-Practising" member? This member category is for physiotherapists who are working in a research, administration, management or teaching position. What are the eligibility requirements to become a “Retired” Member? CPA provides “Retired” membership status to individuals 55+ who have retired as a physiotherapist and have been a member of the CPA for a minimum of 20 years. Please note that no refunds will be afforded if actual dates of leave are different from those provided. Please contact a Member Service Representative to assist with your membership sign-up/renewal at 1-800-387-8679 or information@physiotherapy.ca. You may join a division when you renew your membership online or add one on after you renew by calling Member Services at (800) 387-8679. Learn more about CPA’s Divisions. Yes, CPA’s Professional Liability Insurance program is available to members only. 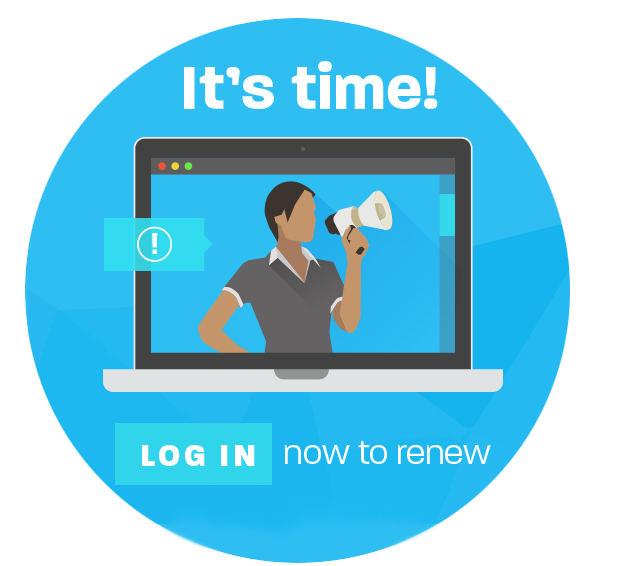 If you are a physiotherapist renewing your Professional Liability insurance you can renew your policy online at the same time you renew your membership. If you are renewing your Clinic Professional Liability insurance, Multi-Discipline Clinic Professional Liability insurance, Commercial General Liability insurance or Clinic Business Package, you may do so once you have renewed your membership and individual professional liability insurance with CPA. These policies are administered by our broker BMS Group and a unique renewal link will be emailed to you. The online application process is done at www.cpa.bmsgroup.com or contact BMS Group at 1 (855) 318-6136 or at cpa.insurance@bmsgroup.com. The option you buy is a personal decision based on your risk tolerance and practice circumstances. All options provide limits of $7 million/claim, $10 million/policy year. They differ in the amounts of coverage for Regulatory Legal Expense (for legal costs associated with defence of a complaint made to your provincial/territorial regulatory College) and Criminal Defence Coverage (reimbursement of defence costs associated with a case filed under the criminal code when found ‘not guilty’ of the criminal charge). Please contact BMS Group at 1 (855) 318-6136 or cpa.insurance@bmsgroup.com for further advice and guidance. Learn more about CPA’s insurance options. I am a student member who will be graduating (or has recently graduated). How do I purchase insurance? Congratulations! As a New Grad you will receive a 50% discount on membership and insurance for your first year of practice. For insurance effective October 1st, click on Renew Now. Select the New Grad membership category to receive your discount and purchase insurance for the full membership year (October 1 - September 30). For insurance effective before October 1st, click on Upgrade Membership from the Account Centre to upgrade to the New Grad category and purchase insurance. You will pay a pro-rated fee for membership and insurance until September 30, 2017. Once you have completed your purchase for that membership period, you may renew for the new membership year right away (at the New Grad rate) from your Account Centre by clicking on Renew Now. If 90% or more of your work is done in the public sector you are eligible for a 15% discount on your insurance. Please update your new address in your Account Centre and save the update. Then under the Insurance section of the Account Centre, next to the insurance option listed, click on “Download now”. CPA’s insurance is non-refundable; we apologize for any inconvenience. Please direct all insurance-related questions to BMS at 1 (855) 318-6136 or cpa.insurance@bmsgroup.com. Yes, insured members no longer need to purchase extended reporting period (ERP) coverage to remain protected after retirement. CPA members who have been actively insured on the CPA insurance program for a minimum of two years are automatically afforded unlimited ERP protection at no additional cost. If you’ve been on the program for less than two years you are automatically afforded 10 years ERP protection at no additional cost. This means that insured members will be protected against potential future claims arising from prior incidents and exposures that occurred during your past physiotherapy practice. I am on a leave of absence from the profession. Do I need to carry Professional Liability Insurance? The professional liability policy is issued on a "claims-made and reported" basis, meaning that the policy in place at the time that the claim is reported is the policy that will respond. If you are taking a prolonged or permanent leave of absence from the profession and you have been actively insured on the CPA insurance program for a minimum of two years, you qualify for an automatic, unlimited extension of your coverage (Extended Reporting Period coverage, ERP) at no additional cost. If you’ve been on the program for less than two years, you automatically receive 10 years of ERP coverage at no additional cost. This means that insured members will be protected against potential future claims arising from prior incidents and exposures that occurred during your past physiotherapy practice. ERP coverage is not appropriate for temporary absences from professional practice. You must maintain an active policy for continuity of coverage. Most regulatory colleges will require registered members to demonstrate that they are covered with a certain amount of professional liability insurance even after they have ceased patient care. ERP coverage is suitable to demonstrate to the College that appropriate on-going coverage is in place for registrants on a prolonged or permanent leave of absence from the profession. Note that your regulatory body requires you to have an active liability insurance policy in place to provide patient care. This means that you must have an active insurance policy in place if you choose to return to professional practice. If you are planning to take maternity/parental leave, coverage will automatically extend for up to twelve months following the expiry of your policy. Note that you must renew your insurance and have an active policy in place before returning to practice. This coverage provides protection against potential claims that arise while you are on maternity/parental leave and that are based on prior incidents and exposures that occurred during your past physiotherapy practice. When determining if you require active insurance on leave, or are able to use the extended coverage under the CPA Professional liability insurance program, please check with your Provincial/Territorial College. We can provide you information on what your coverage is through the policy, but the requirements are set by the Regulators and they can inform you of the process for insurance coverage for your particular location. Note that your regulatory body requires you to have an active liability insurance policy in place to provide patient care. This means that you must have an active insurance policy in place following your maternity/parental leave and upon return to professional practice. I will need professional liability insurance later in the year. Is it pro-rated and how do I purchase it? Yes! Insurance policies are pro-rated daily. You may add insurance at a later date by purchasing it online through your Account Centre or by contacting one of CPA’s Member Services representatives at 1 (800) 387-8679. CPA’s professional liability insurance will cover you anywhere you practice in Canada, even if you practice in more than one location. PTA members may purchase an insurance policy directly through our broker, BMS Group, online at www.cpa.bmsgroup.com or by contacting them at cpa.insurance@bmsgroup.com or 1 (855) 318-6136. Yes, you may require an additional policy beyond your individual professional liability insurance policy. Please contact BMS Group at 1 (855) 318-6136 or cpa.insurance@bmsgroup.com for further information or to discuss your specific business coverage needs. Employer-held insurance typically does not provide coverage for defence against complaints made to your regulatory College. Regulatory complaints make up a large part of the claims made against health professionals. If you do not have insurance coverage to respond to this type of claim, you will be left managing your defence independently and/or paying for legal defence services and any other expenses out of pocket. Employer-held insurance also typically only covers you within the scope of practice of your employment. This means that any work you do outside of your place of employment (for example, unpaid volunteer work or casual hours at a physiotherapy clinic) will not be insured. The CPA policy covers any activity within the scope of practice of physiotherapy. Acupuncture is within your scope of practice, so your policy would respond. Please note that CPA’s insurance does not provide coverage for Traditional Chinese Medicine (TCM) and TCM acupuncture is not within a physiotherapist’s scope of practice. If you require insurance coverage for your TCM acupuncture practice, please contact BMS Group at 1 (855) 318-6136 or cpa.insurance@bmsgroup.com. If you have purchased individual Professional Liability Insurance through the CPA, you are eligible for a yoga “rider” that you may purchase directly from our broker, BMS Group, by contacting cpa.insurance@bmsgroup.com or 1 (855) 318-6136.